Review Summary: On the whole RAJDHANI EXPRESS has its moments but they are few and far between. On the whole RAJDHANI EXPRESS has its moments but they are few and far between. In an attempt to make a fresh start in life a man boards Rajdhani Express to run away from his god-father. Will he be able to get rid of his old self? This Rajdhani Express surely doesn't offer a jolly good ride. Abroad this journey at your own risk. 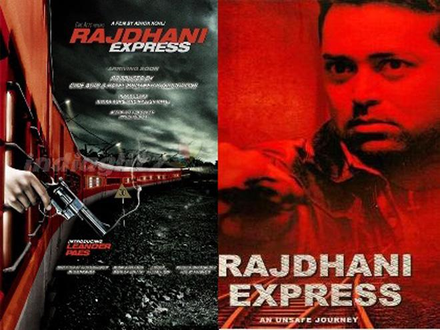 Rajdhani Express can easily lay claim to be one of the worst films of 2013. A man keeping his copassengers hostage in a train is an interesting, though not quite a novel premise. While in Hollywood this genre has been beaten to death, even in Bollywood there have been films made on these lines. Couple of recent instances are an expensive 'Tezz' where a man planted a bomb in a train or an unknown affair called '332 - Mumbai To India' which was based on a real life instance when a man had hijacked a bus. While former flopped badly, latter didn't even release properly. As for fate of 'Rajdhani Express', it doesn't promise to be any different. He has made a wrong career move, that too with the wrong debut vehicle. Movie in the theatres, you figure you could give it a shot; there’s a sliver of curiousity: how bad could it be? Allow us to tell you.